Two Syracuse University students have received scholarships from New York City’s Dominican Day Parade Organization. The scholarships were awarded in recognition of the University’s participation in the parade this past August. These inaugural scholarships were given to students at 10 institutions that participated in last summer’s parade. 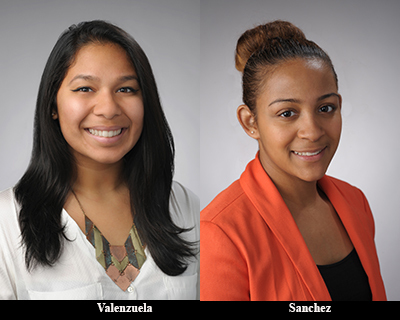 Sarah Valenzuela ’16, a student in the College of Arts and Sciences, and Leslie Sanchez ’17, a student in the School of Information Studies, are the scholarship recipients. As part of their application for the scholarship, they each wrote a 250-word essay on the contributions of Dominicans to American culture. Valenzuela is also an Our Time Has Come Scholar.